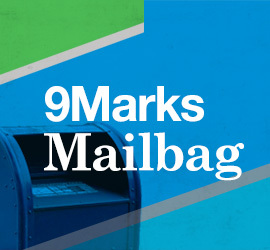 Three times a year, 9Marks hosts a nine-day International Intensive. Our goal is to provide a deeper and contextualized think-tank approach to ecclesiology. This extended, language-specific training gives international leaders the experience of a “mini” internship in the context of a local church. The participants receive books to read prior to their trip, along with other resources that they read during the Intensive. In addition to this, they also participate in over twenty hours of group discussions contextualizing the content to their own cultures. The primary focus of these nine days is a biblical philosophy of ministry and deeper understanding of church membership, discipline, elders and worship in a healthy church. Partner with us to help train these men. Please give using the form below to provide an opportunity for short-term learning that will have long-term impact on churches around the world. All donations will be used for 2018 International Intensive participants. Your gift covers all learning materials as well as room and board. Feel free to give any desired amount. If you desire to provide a scholarship for a pastor, an $800 gift covers all costs associated with the Intensive. Please give using the online form above or write out a check payable to ‘9Marks’ and mail it to: 9Marks, 525 A Street NE, Washington, DC 20002. As a registered 501(c)(3), non-profit organization, all gifts to 9Marks are tax-deductible. 9Marks will make every effort to use contributions according to the purpose specified in this campaign. However, if in the judgment of 9Marks, such purpose becomes impossible, impractical, unnecessary, or undesirable, 9Marks will use contributions to help fund the entire work of the organization.